A very simple wallpaper, to be sure. I like simplicity best, though, and I look for serenity on my screen verseus the frenetic action of a lot of wallpaper that I see. The image used came from a doujinshi named Traumarei. It was cleaned up, slightly, for this wallpaper. The gorgeous sunset is courtesy a picture my father took on vacation in Florida late last year. I love this background! It's pefect.. Very simple yet effective. 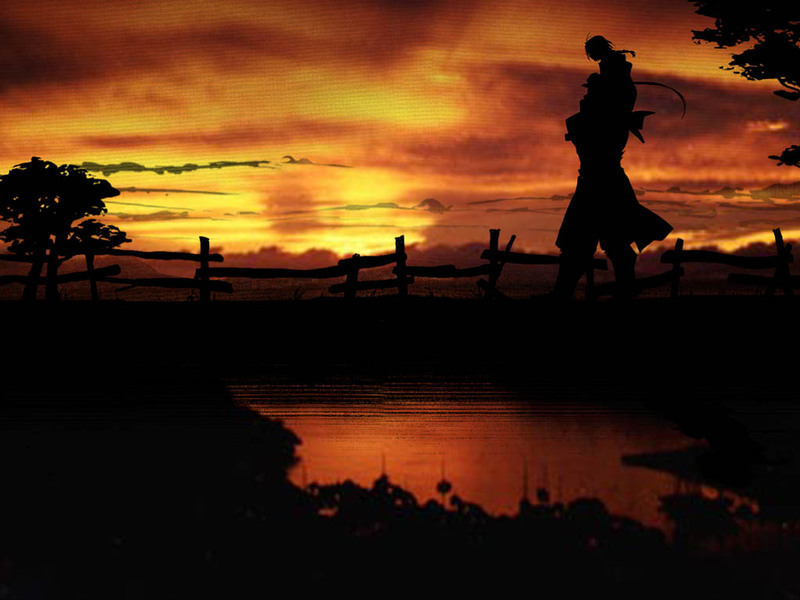 I like sunset wallpapers alot and the idea seems just so perfect for Ed and Al. I like the sihlouette image you've chosen, and the stock image is pretty good but theres just one little problem. On the sky theres quite a few strange lines going across, and they kind of add a slight "somethings not right" feeling to the wall. They don't detract too much from the wall though, if you could clean those up it would be great. a perfect couple sunset pic~! *^-^* GOTTA LUB IT~! WONDERFUL DONE WORK~! Nice and simple. I love it. One of my favourites now. Great wall. I love the colors on this one! lovely and very striking bg. i like the concept and sihouettes instead of actual imgs. 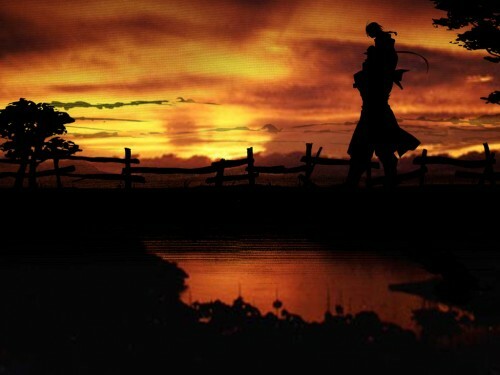 I love sunset and i love FMA so i love this wallpaper !